﻿ SS 316 Metal Gasket, SS 316L Spiral Wound Gasket Exporter. ASTM B182 SS Octagonal Gasket Manufacturer, SS 316L O Ring Gasket Exporter, SS 316 Grooved Gaskets Supplier In Worldwide. Amco metal has been in the industry for a long time and has dedicated itself in building highly usable customer centric products. We are known for our excellent customer service as we make sure that all our customers get the most suitable products for their business. We are ISO certified and make sure that we meet all production standards and quality. We are a manufacturer, trader, stockiest, supplier and exporter of Stainless Steel 316/316L Gaskets which are instrumental in warding off crevice and pitting corrosion in chloride and halide surroundings, with a good tensile and creep-rupture strength increasing its market demand. 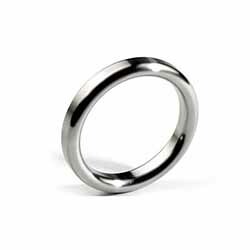 Our SS 316/316L Ring Joint Type Gaskets are recommended for high pressure and high-temperature services, available in several pressure classes and customized sizes to suit your industry needs. 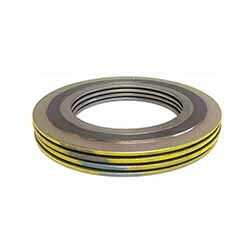 We supply SS 316/316L Octagonal Gaskets to the rubber, paper, petrochemical, and textile industry. We have gained hands-on experience over the span of 25 years and built a reliable range of products that meet all the industrial requirements. 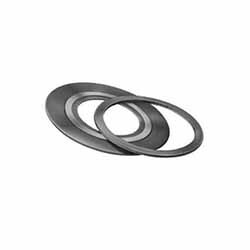 Stainless Steel 316L Ring Gaskets Manufacturer, Stainless Steel 316 Spiral Wound Gasket Exporter, SS 316L/316 RX Gaskets Supplier In India. India, Italy, Russia, Colombia, Morocco, Austria, Pakistan, Serbia, Ukraine, Sri Lanka, Czech Republic, Sweden, Japan, Ghana, Malaysia, Bahrain, Singapore, Mexico, United Arab Emirates, Taiwan, Iran, Egypt, Romania, Switzerland, Slovakia, South Korea, China, Puerto Rico, Afghanistan, Belgium, Saudi Arabia, Namibia, Nepal, Thailand, Iraq, Vietnam, Greece, Ireland, Kenya, Gambia, Hungary, Angola, Lebanon, Philippines, Spain, Croatia, Azerbaijan, Lithuania, United States, Bhutan, Poland, Norway, Denmark, Estonia, Kuwait, Mongolia, Bolivia, Nigeria, Turkey, Algeria, Yemen, Bulgaria, Chile, France, Venezuela, Iran, Argentina, Qatar, Poland, Chile, South Africa, New Zealand, United Kingdom, Zimbabwe, Gabon, Macau, Germany, Costa Rica, Indonesia, Australia, Tibet, Libya, Nigeria, Peru, Netherlands, Mexico, Kazakhstan, Oman, Portugal, Belarus, Finland, Canada, Bangladesh, Brazil, Hong Kong, Ecuador, Israel, Trinidad & Tobago,Tunisia, Jordan. Busan, Aberdeen, Vung Tau, La Victoria, Ulsan, Doha, Hanoi, Edmonton, Ankara, Geoje-si, Dammam, New Delhi, Rio de Janeiro, Madrid, Gimhae-si, Kanpur, Granada, Surat, Karachi, Visakhapatnam, Kuwait City, Jeddah, Nagpur, Calgary, Bengaluru, Tehran, Baroda, Ranchi, Brisbane, London, Perth, Chandigarh, Bangkok, Manama, Dubai, Pune, Lagos, Santiago, Port-of-Spain, Faridabad, Chennai, Colombo, Bhopal, Pimpri-Chinchwad, Montreal, Riyadh, Caracas, Hyderabad, Chiyoda, Istanbul, Navi Mumbai, Atyrau, Cairo, Dallas, Courbevoie, Indore, Sydney, Kuala Lumpur, Houston, Noida, Al Khobar, Los Angeles, Al Jubail, Ludhiana, Haryana, Jaipur, Gurgaon, Ernakulam, Ahvaz, Sharjah, Hong Kong, Toronto, Vadodara, Milan, Rajkot, Muscat, Abu Dhabi, Coimbatore, Thane, Lahore, Thiruvananthapuram, Melbourne, Singapore, Ho Chi Minh City, Bogota, Mexico City, Howrah, Petaling Jaya, Jakarta, New York, Secunderabad, Nashik, Mumbai, Moscow, Kolkata, Ahmedabad, Algiers, Seoul, Jamshedpur.